At Angelo Podiatry Associates, our priority is to deliver quality care to informed patients in a comfortable and convenient setting. Our office takes great pride in the quality of care we provide our patients. When you have problems with your feet, you need to turn to a podiatrist who listens and responds … an experienced doctor who knows the field and can effectively diagnose and treat your needs … a friendly physician who counsels you on the best ways to maintain and improve your health. Dr. Jim Lummus D.P.M. meets all these criteria. Also, all care is performed by Dr. Lummus who has over 30 years of professional healthcare experience and keeps up to date by regular attendance at post graduate medical education courses. 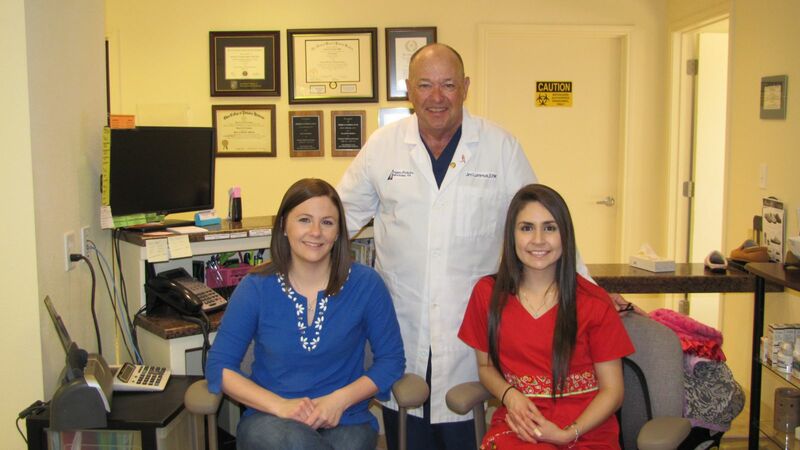 Plus, you benefit from our dedicated professional office staff who gives you the individualized attention you deserve. Dr. Lummus believes that informed patients are better prepared to make decisions regarding their health and well being. Patient education is provided with concern and respect for individual needs. That is why we've included an extensive section on this web site covering the full array of topics associated with podiatry and podiatric diagnoses and treatments. We encourage you to look through these pages whenever you have an interest or concern about your feet. Our office stresses a caring environment with special emphasis on comfortable, safe and complete care. The best care in the world doesn't mean anything if it can't be accessed. At Angelo Podiatry Associates, we strive to make our office as efficient and convenient as possible. Included in these web pages is information about our office, including our location, maps, directions, hours, insurance policies and appointment scheduling. You can even email a request for an appointment right here. In most cases we can accommodate your appointment with in a few days. Dr. Jim D. Lummus, D.P.M.